I can’t believe that it was a year ago that I started this blog! I am celebrating my first year of blogging with my version of a Celebration Cake—white cake with lemon filling and buttercream frosting. I can’t tell you how much I have enjoyed baking and sharing my recipes with you this past year. I truly appreciate each and every one of you that visits this blog. Your comments and emails have been so encouraging, and they have made my day more times than I can tell you. So besides the cake, I am also celebrating with a giveaway! One lucky reader will receive a $50 Amazon.com gift card! Amazon is one of my favorite places to pick up kitchen gadgets, baking pans, cookbooks, camera equipment, you name it! What will you get if you win? My version of a Celebration Cake--tender white cake with lemon filling and buttercream frosting. 1. Grease and flour (3) 9" round cake pans; preheat oven to 350°F.2. Cream together the butter and sugar until fluffy.3. In a separate bowl, sift together the cake flour, baking powder, and the salt.4. Add dry ingredients into the creamed mixture alternately with the milk; stir in vanilla.5. Gently fold in the egg whites.6. Pour batter evenly into prepared pans and bake for 28 - 30 minutes or until cake tests done.7. Cool cakes for 10 minutes in the pan; invert onto cooling racks and allow cakes to cool completely before assembling and frosting.8. For the filling, in a small saucepan combine sugar, cornstarch, and water until smooth. Bring to a boil and cook for 2 minutes stirring constantly. Remove from heat and add a small amount of the hot mixture into the egg yolks, then add yolks to the pan. Stirring constantly, bring to a boil and cook 2 more minutes. Remove from heat and stir in lemon juice and butter. Allow to cool completely before filling cake.9. To make frosting, beat butter and confectioners' sugar together in a large bowl. Add the vanilla and almond extract and mix well. Add the milk 1 tablespoon at a time until desired consistency is achieved. Add food coloring gel if desired.10. Level cake layers with a serrated knife and place one cake on a serving plate; spread with half of filling. Spread filling to within about 1/2 inch of the edge of the cake. Place second layer cut side down, and spread with the remainder of the filling. Place 3rd layer on top, cut side down. Frost sides and top of cake. Giveaway has ended ~ Congratulations to Melissa C.! Thank you to all who entered! To enter, please use the Rafflecopter entry form below. The first step is to leave a comment on this post and verify on the Rafflecopter entry form that you did this. Then, you can earn up to 4 additional entries if you wish. You can also come back daily and tweet for entries. One reader will receive (1) $50 Amazon.com Gift Card. Giveaway ends at 11:59 pm EST on 2/7/2012. A random winner will be chosen and notified by email. The winner will have 48 hours to respond to claim their prize or a new winner will be selected at random. Entries are verified, and any entries using multiple email addresses will not count. This giveaway is not sponsored and is in no way associated Amazon.com. I was not compensated in any way for this giveaway. Definitely a new kitchen gadget! Thanks for the giveaway! We have many Feb birthdays, so, I'd use it toward gifts. Congrats! I would use the gift card to buy something for my new niece or nephew who should be arriving in February. Hmmm...there a lot of new cookbooks coming out in February and March, I think I'll get some of those! Congratulations on a year of blogging! Your anniversary cake is so beautiful, and as always I love your photography! I would spend an Amazon card on something I have had my eye on - one of those scraper beaters for my KA mixer. Congrats on one year! I think I would like to get a small capacity food processor because I have an 8 cup one but need a smaller one sometimes for smaller jobs. Congratulations! I would likely buy cookbook! I can never seem to have enough! This cake is my kind of cake. Congrats on your first year! The first thing I'd pick up from Amazon is one of those Kitchen Aid beaters that scrape the bowl. Congrats on your first year. My 1 year anniversary is coming up too and I can't believe how fast time goes. And thanks for the chance to win this giveaway. I would love to buy a Le Creuset French Oven in cherry! I've had my eye on that for quite some time. I love the cake! It looks so fresh! What i would get, of course some cooking book i cant find here in my country ... i have a couple in mind! I would totally get some of the books that I have been craving, or put it towards the camera that I want to get. ps. I can already think of quite a few books I'd like with that gift card! Nice way to celebrate, congratulations! I'm on kitchen gadget overload,lol! But can never have too many books! Congratulations on one year of blogging! Lately I've been using Amazon to stock up on kitchen stuff. One of my most recent purchases was a set of stainless steel pans. I absolutely love them! This cake is awesome, and congrats Jill! I started my blog one year ago too, so exciting!! Happy One Year! I would buy more cookbooks or some cooking gadget! I would love a few more cake pans!! I would probably get myself some new cookbooks for this summer, when I'm finally done with my Master's Exam, so I can start creating my own recipes. Congrats! I would get more cookbooks! I would love to buy a hot pink kitchen aid! A new paddle for my kitchen aid! I would buy a le creuset casserole dish! In turquoise, my favorite color. Almond oil and baking pans/cookie cutters--definitely need some more of those, since I'm in a dorm now with nothing. Yay cake! What a way to celebrate! I would get cookbooks! That pink frosting is somehow so adorable. I'd get some biscoff spread! I'd buy a cute sushi plate set I have my eye on. amazon is my favorite place to buy books & also baking items like cupcake liners and sprinkles! I've been needing some new cake decorating supplies. I'm always looking for new cake decorating tips and supplies. I've been needing a lazy susan for when I decorate cakes. What a beautiful cake! I wish I could buy that on Amazon, but since I can't I'd probably buy vanilla beans for homemade vanilla. Happy birthday! Your cake looks absolutely perfect (not to mention delicious!). I'd be sorely tempted to use the giftcard towards finally buying my own Kitchenaid stand mixer... I've wanted one for ages! Can't wait to try this cake! What a lovely cake - - Congratulations on your 1 year blog-iversary :) that's exciting!! The new Kitchen Aid stand mixer glass pitcher/bowl. Congrats!!! Amazon gift card? Kitchen Aid stand mixer glass mixing bowl. I can't believe it's been a year since you started this blog, time does fly! It's so generous of you to do this giveaway, not sure right now what I would purchase with it. I've enjoyed so many of your recipes and your personal stories as well, your Celebration Cake looks and sounds wonderful. I can't wait to make it for my Mom, lemon anything is her favorite! I would buy cookbooks! Congrats on 1 year of blogging. I'd probably buy some cookbooks or crazy ingredients that I'm having issues finding in stores. Like freeze dried corn. Pretty pink icing on your cake! congrats! on celebrating one year with the give away. Congratulations! I would buy an ice cream maker with that gift card. Lovely cake and lovely giveaway! I'd like to join others and congratulate you for your first blogging year! Isn't it great to look back at all of your work? I can't wait for my first-year blog-versary (in six months). Your desserts are gorgeous, and you have inspired me to seek out baking classes. Keep up the great work! Hmmm...if I win, I'd love to use it to buy more books for my Kindle! I think I might invest in a rapid strap! Congratulations! The cake looks delicious. I would love to buy a few new healthy cookbooks with my Amazon gift card if I won. Discovered your blog when I was looking for a dressed up chiffon cake (Butterscotch Chiffon with Penuche Frosting). Never really thought about frosting a chiffon cake before seeing yours. Congrats on your first anniversary and may there be many more. 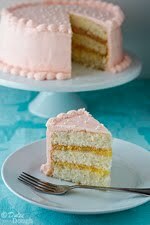 Your anniversary cake really caught my eye - I loves me a pink cake above all others. Something about pink frosting that seems to taste better. I would love to spend the Amazon Voucher on a grater. I dread grating with my old grater - it eats up fingers like there's no tomorrow! celebration of sweet, sassy, innocent, beautiful- simple elegance in your cake! I need new mason jars. And plastic lids for them. And maybe a few new cookbooks. Gorgeous cake, happy 1 year of blogging! Congratulations!!! Thanks for such a great giveaway, too! Definitely a new kitchen gadget! I love amazon! And congrats on reaching a year! Congrats! What a pretty cake!! The cake looks soo good! Congrats on your anniversary! Jill, congrats on your blog anniversary, nice giveaway too. love get some cook book . That cake looks divine! If I won I'd likely get some more cook books, or craft books. I'd buy some baking supplies. Congratulations Jill for your blog aniversary...!!! And this cake is just perfect for the celebration. Happy Blog anniversary Jill! We started our blogging adventures in the same period! The cake looks absolutely amazing! Well, as all your beautiful creations! Congratulations Jill for one year of blogging! Your cake looks divine!! Una gran torta hermosa y romántica para un precioso blog,FELICITACIONES,abrazos hugs,hugs. So beautiful. I think I`m going to give this recipe a go this weekend for my sisters birthday! Whats the texture of this cake and can it stand up to fondant? I have honestly never used fondant, so I am not sure if it would stand up to it or not. The best way that I would describe the texture is that it is comparable to the texture of a white cake mix cake, but maybe a little more tender/soft. Happy, Happy Birthday friend! I can't believe you're just a year old...you've accomplished so much on this blog and made so many friends! This cake is simply divine and perfect for your celebration. Thanks for sharing this and many wonderful recipes Jill! Oh, I don't always enter contest, but I will this time. I'll use the Amazon gift card for a gift for my brother who has helped me so much! Happy Blog Anniversary, Jill! Here's to another great year of your fabulous recipes. Oh, and we'll take two slices of that gorgeous cake, please. Okay, three. I will buy some ebooks for my kindle! The lemon filling looks so good! I would buy a decor book for my coffee table. Lemon? yum. thank you for entering me. I would like to get some craft and cookbooks. Great looking cake by the way. I'm popping by again to award you with a Liebster Blog Award! It was given to me very recently, and my task is to pass it on to five up-and-coming and deserving bloggers. I've placed a link on my site to your blog. Come by my site for the details! So many amazon things to consider! Beautiful photo - pinned them! Wow, that cake looks delish! I'd absolutely use the gift card towards a new camera lens, so I can take some nifty food photos! Your cake is stunning! I love the flavor combo! Congrats on your first birthday, that is awesome!!! Amazon is awesome, I need a blender! Jill the cake is gorgeous and I would kill to have one so beautiful and pink for my birthday (Oct 3 in case you are wondering) :)! It might look like I'm the last one to wish you a Happy Blog Anniversary, Jill! Gorgeous cake, that I would love to share a slice with you...even with my Weight Watchers program! The Amazon giveaway is awesome. I just finished ordering my gift certificate, from the Fairy Hobmother, for Amazon. Love, that online store...simply, the BEST! 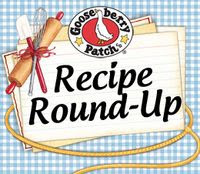 Great blog, I love your recipes and post! I invite you to visit my blog, I hope you enjoy it. I have a google traslator, so you can read without problems! Not in for the giveaway but really wanted to wish you a very happy 1 year anniversary! Here's to many many more delicious years!